Several of you were able to meet Danielle, a visiting student who attended class on Sunday, May 17, while stopping in Kentucky on her 50 States of Yoga tour. Danielle’s goal for the year is to take a yoga class in every state, and her class at 4yoga marked her 15th state. 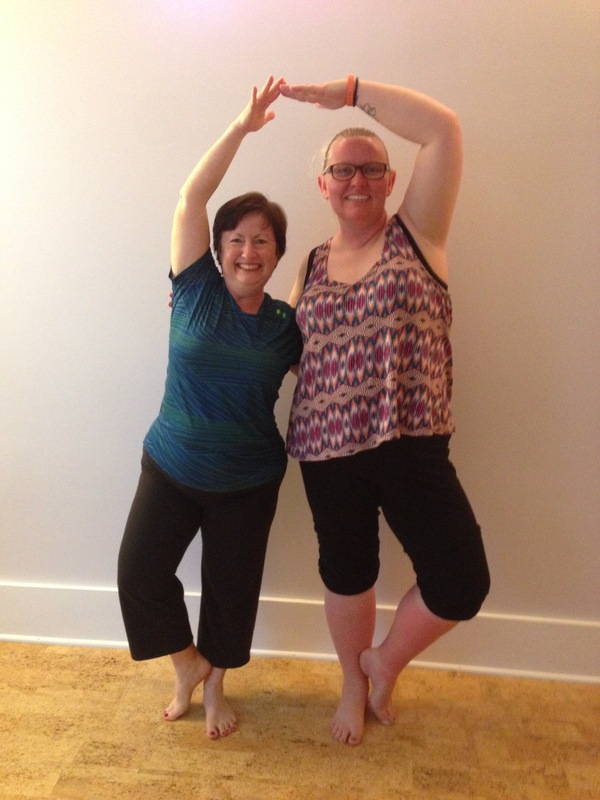 Here are Danielle and Susan enjoying a variation of tree pose after class! If you would like to read more about Danielle’s time in Kentucky, which included stops at Mammoth Cave and the Corvette Museum in addition to 4yoga, check out her blog. This entry was posted in places for yoga and tagged 50 States of Yoga, Susan Polk. Bookmark the permalink.